Jessica Willis enjoyed her job as a certified nursing assistant at Fort Walton Beach Medical Center ­­­­­– but the Crestview resident really wanted to work in an operating room. In January, the 25-year-old’s dream became possible when she was accepted into Pensacola State College’s Surgical Technology Program. Surgical technologists assist in surgical operations. They prepare operating rooms, arrange equipment and help doctors during surgeries. After completing the Pensacola State program, students can work as entry-level surgical technologists in hospital operating rooms, CATH labs, central processing centers, labor and delivery units and outpatient surgery facilities. 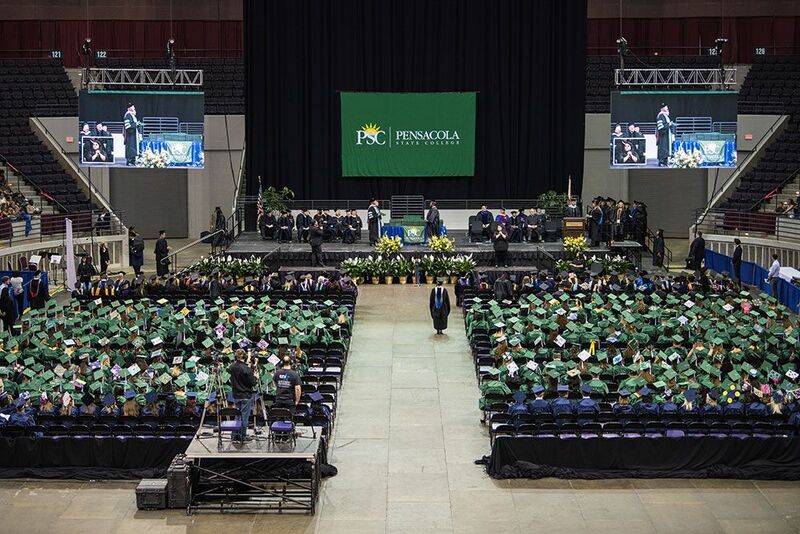 “It was something I’ve really wanted to do for about four years and when the PSC program reopened, I jumped at the opportunity,” said the wife and mother who travels about 125 miles each day for classes at the Warrington campus. Willis is on track to graduate in December and hopes to rejoin the Fort Walton hospital staff as a surgical tech. This time next year, she wants to be one of the more than 100,000 healthcare professionals being recognized ­during National Surgical Technologists Week, which was Sept. 18-24. Established in 1984 by the Association of Surgical Technologists Board of Directors, National Surgical Technologists Week is held during the third week of September to recognize the profession and employees in the field. 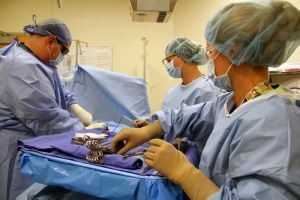 Barbara Inkel, Pensacola State’s surgical technology program director, said the 12-month program of study is designed to be challenging and intense. The Accreditation Review Council on Education in Surgical Technology and Surgical Assisting (ARC/STSA) is a private non-profit accreditation services organization that provides national recognition for higher education programs in surgical technology and surgical assisting, in collaboration with the Commission on Allied Health Education Programs. In May, 2016, following a rigorous self- study process by the program and an onsite peer review, the PSC Surgical Technology Program received continuing national accreditation. Although national accreditation does not expire, the program must undergo a comprehensive review at least once every 10 years. Inkel said ARC/STSA standards only allow 20 students to be admitted into the program each year. Angelena M. Roberts, the wife of a military service member and mother of three, is thrilled to be a student in the second class. She said she discovered her passion for surgical technology after being enrolled in the University of West Florida’s registered nursing degree program. Students enrolled in the program earn a surgical technology certificate. However, their final test is the National Certification Examination for Surgical Technologists and is a requirement for graduation.